Herman Bisbee ( October 29, 1833-July 6, 1879) is best known as the only American Universalist minister to have been found guilty of heresy. After losing his Universalist fellowship, he became a Unitarian. Herman was one of eight children of a Universalist farming family in West Derby (now Newport), Vermont. In 1853 he married Mary Phelps Sias, daughter of another Universalist family. After a brief period as a farmer, Bisbee moved with his wife and family to Canton, New York, where he enrolled in the recently established Theological School of St. Lawrence University. While a student, he preached to a congregation in Malone, New York. He was ordained there in 1864, the year of his graduation. In 1865 Bisbee and his family moved to St. Paul, Minnesota, where he helped to organize a new Universalist congregation and served as its first minister. In 1866 he accepted a call to the Universalist church in nearby St. Anthony (later part of Minneapolis), following the death of its minister, Seth Barnes. In his Memoir of Rev. Seth Barnes, 1868, Bisbee praised his predecessor as a pioneer of Universalism in the West and a faithful disciple of "the living, loving, lowly Jesus." Up till this time Bisbee had been a theologically traditional Universalist. Ebenezer Fisher, president of the Canton school, had approved of his views concerning the Bible and revelation. In 1868-69, however, he spent ten months as minister of the Universalist church in Quincy, Massachusetts. While there he became interested in the Transcendentalist and Natural Religion ideas of the previous generation of Unitarians—Ralph Waldo Emerson, Theodore Parker, James Freeman Clarke—and the radical new Free Religious movement. In 1869 he returned to Minnesota with a new message to preach. In 1871 William Denton, a member of the Free Religious Association, lectured in Minneapolis on Charles Darwin's theory of evolution. 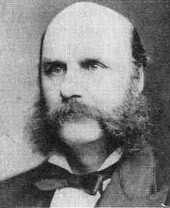 James Harvey Tuttle, minister of the Minneapolis Universalist Church, responded with a sermons and lectures upholding a literal interpretation of the Bible. Bisbee and fellow Universalist minister William Haskell countered (and sometimes mocked) Tuttle's view in a series of lectures which became known as the "Minneapolis Radical Lectures." Bisbee's "Radical Lectures" included talks on miracles, on the origin of the Bible, and on natural religion, notably one called "The Important and Enduring in Religion," modeled on Theodore Parker's "Transient and Permanent in Christianity." Reaction to Bisbee's lectures from his fellow Universalists was for the most part negative. An editorial in a leading Boston-based denominational newspaper, The Universalist, said that, since he denigrated the Bible and Christianity, he had no right to call himself a Universalist. Bisbee admitted that he had "pushed into prominence a different class of ideas from those which are generally pushed in Universalist Churches," but argued that he was only "defend[ing] the traditional liberality of the denomination" against "the extreme conservative tendencies developed by some leaders in the order." Bisbee's challenge to traditional theology came at a crucial time in Universalist history. In 1870, the Universalist General Convention had voted to reaffirm the Winchester Profession of 1803, but without including the "liberty clause" which had permitted theological differences. Thus, for the first time, the Universalists had a prescribed creed against which individual Universalists' beliefs could be judged. Bisbee claimed that the Winchester Profession "was designed to cover great varieties of opinion," and that his beliefs were within the range of acceptable interpretations. He denied that any newspaper editor had the right to pass judgment on his beliefs, and challenged the denomination to bring him up on disciplinary charges. He was confident that if this was done he would be vindicated. Early in 1872, the Committee on Fellowship, Ordination, and Discipline of the Minnesota Universalist Convention took Bisbee at his word and demanded that he surrender his letter of fellowship. At the state convention in June, he was formally charged with two counts of "unministerial conduct": for preaching heretical doctrines and for unbrotherly conduct toward James Tuttle. After a long debate, the convention passed a resolution withdrawing fellowship from him. In protest, Bisbee's fellow "radical," William Haskell, withdrew from the Minnesota Convention and united with the Illinois Convention. The editor of The Universalist, certainly no admirer of Bisbee's views, expressed dismay: "We must say that our Minnesota brethren have done a very extraordinary thing—one which the General Convention in Cincinnati should promptly and effectively correct." Bisbee filed an appeal to the General Convention, where a Board of Appeal upheld the action of the Minnesota convention. The Board conceded that Bisbee had "expressed assent to the Winchester Profession" as required, but ruled that this "is not, in cases of doubt, to be regarded as conclusive evidence that either that he believes it, or preaches in accordance with it." Faced with the old problem of trying to prosecute heresy without defining orthodoxy, the Board noted, "It appears to be almost self-evident that the Universalist Church does know what its religious faith is" although "it may not be necessary or profitable for the denomination to state with any great particularity." Bisbee's St. Anthony congregation, which had given him a unanimous vote of support, changed its name to the "First Independent Universalist Society" and prepared to leave the denomination with its minister. Within a few months, however, Bisbee resigned his ministry on the grounds of ill health, and moved to Boston. Bisbee studied briefly at Harvard Divinity School in 1873 and then went abroad. In 1873-74 he studied at Heidelberg University. His first wife having died in 1872, in Heidelberg he married Clara Maria Babcock, daughter of Unitarian minister William Babcock. Clara had studied at Harvard Divinity School and served as assistant to her father. Together Clara and Herman served the Stepney Church in London's East End for a few months in 1874. On their return to America, Herman became minister of Hawes Place Unitarian Church in Boston, where he served until his death. Clara Bisbee lived until 1927. In 1881 she established the Boston Society for Ethical Culture, also known as the Free Religious Society, at Lyceum Hall in Boston. Bisbee is largely remembered for forcing the Universalist denomination to face up to the issue of freedom of belief. After much debate and soul searching, in 1899 the General Convention adopted a new statement of belief, commonly referred to as the Boston Declaration. It identified "the five essential principles of Universalism: The Universal Fatherhood of God; the spiritual authority and leadership of his Son, Jesus Christ; the trustworthiness of the Bible as containing a revelation from God; the certainty of just retribution for sin; and the final harmony of all souls with God." The Winchester Profession was commended as containing these principles, and most importantly, the "liberty clause" was reinstated. Most of what is known of Bisbee derives from Mary F. Bogue, "The Minneapolis Radical Lectures and the Excommunication of the Reverend Herman Bisbee," Journal of the Universalist Historical Society (1967-68). This contains substantial exceerpts from the primary documents. She did her research in what is now the Universalist Special Collection at the Andover-Harvard Theological Library in Cambridge, Massachusetts (formerly the collection was held at Tufts University), at the Church of the Redeemer in Minneapolis, Minnesota, and at the Minnesota Historical Society. Bisbee's story is also told in Russell Miller, The Larger Hope, vol. 2 (1985) and in Ernest Cassara, Universalism in America (1971). See also William Sasso, "American Universalism: 210 Years" and John Addington, "A Brief History: First Universalist Church of Minneapolis."